While many of the celebrities went missing to pay their last respect to Periyava, whom all benefited by Him, here comes Ilayaraja – not just paying his respect and also disclosing how he was blessed by Periyava to start a veda patasala. True bakthi comes from pure heart like Raja. We should just read the last sentence. That’s the sentiment of all. I posted this just to remind how people treated our mutt when most needed and how they glorify later. To quote a personal talk of Mettur swamigal his comments about puduperiava was ‘ if puduperiava was left to himself without hounding by others and self serving people we would have got another Vivekananda combined with periava an avatar. Let people know how many schools how many hospitals how many temples and how and what a great service he has done to Hinduism and the country and his unparalleled gurubhakti and also let people know that it was all under the tutelage guidance of Periava. Let also those who talk so much know puduperiava has also walked all over the country. 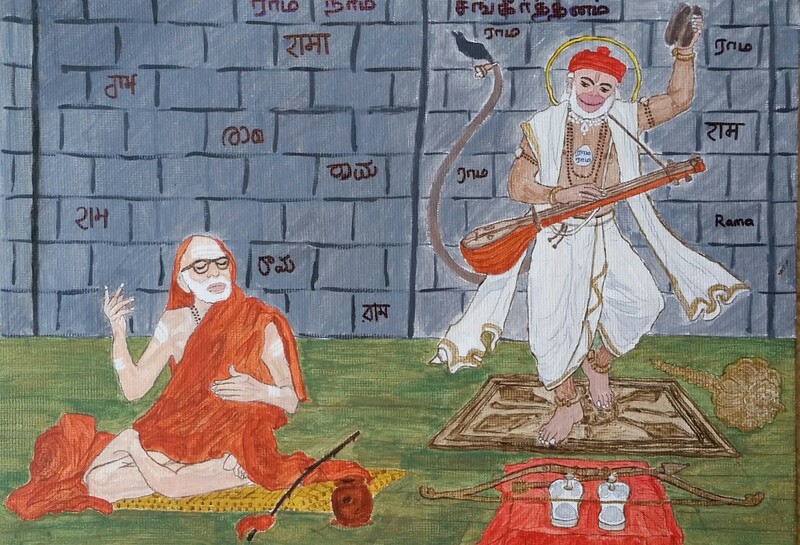 Periava is an avatar and nobody can compare one with other.i feel the articles are a sort of innocuous expression of regret. Any way let there be no controversies and let us concentrate on sages of our mutt and the great service they are rendering inspite of the conditions of this State. I have posted those two long notes with a lot of pain at this old age as I know puduperiava from schooldays at tiruvanaikoil and his kuzanthaimanasu with that innocent smile. I have walked with him miles and miles with very few. Yes when the mutt was in an extremely poor state he tried his best. Periava gave eighteen reasons as to why his name was chosen as jayendra commencing from the year Jaya to meaning of Jaya being 18 and the mutt winning the court case in Jaya giving 18 reasons. When puduperiava wanted the primary. School for usto be started in mettuguda at Secunderabad in seventies he made the book stating why a for apple and why not a for Arjuna and for all the letters he gave easily indian names. His laugh at that time was about English rhymes where everything only falling or tumbling and not rising quoting Jack and Jill london bridge is falling Rain rain go away etc!!! [3/3, 08:33] N Ramaswami: An era has just ended in the hoary history of the Kanch Kamakoti Math, with the Maha Samadhi of Sri Sri Jayendra araswathi, the 69th Peetadhipathi of the Kamakoti Peetam. There is an overwhelming sense of loss and despair amongst the devotees of the math and the Acharya. It is even more significant if one dispassionately considers the deep impact that Sri Sri Jayendra Saraswathi Swamigal had left on every aspect of the math functioning. He was chosen as the successor to the Paramcharya (as his predecessor Sri Sri Chandrasekarendhra Saraswathi was known to all) at the young age of 20 and for almost four decades lived under shadow of the towering Paramacharya. It is a very difficult thing in any human activity to be the second in command, while the number one is in absolute control and is a larger than life kind of personality, which the Paramacharya was, very deservingly of course. He was a very disciplined deputy and was known for his total devotion to the Paramacharya., a fact that those closely linked to the Math can vouch for. The four decades that he was with his senior, were very difficult times for the sanadhana dharma (Hinduism if one were to use a contemporary terminology), as this state had often had elected governments, where the ruling party was inimical to the faith in general and to the math and its followers in particular. Caste based politics and the resultant bitterness was far too obvious to escape the notice of even a casual traveler to the state. The math had to break out of its traditional moorings and reach out to the people at large, as missionaries of the Abrahamic faiths were creating havoc in the coastal and southern districts of the state of TN, causing great level of anxiety to the people and the government. Unfortunately, the successive state governments did precious little to stem the rot and were almost mute spectators to the gross misuse of religious freedom enshrined in the constitution. It was in these circumstances that Sri Sri Jayendra Saraswathi decides to break the perceived shackles of sanyas and enter the social world to put a brake on the large scale conversions that were taking place resulting in levels of social unrest hitherto unseen and unheard of. This decision necessitated even his ignoring instructions to the contrary perhaps even from the Paramacharya himself. He realized at the very beginning that the only way we can stop this was to shed the faith of the caste based discriminations and erase the dividing line between the math and the Hindus of so called lower castes. This strategy, expectedly, met with stiff resistance and derisive comments not only from within the math but also from Hindus outside, especially the upper caste Hindus (more importantly a section of the Brahmin community). What was not observed correctly and appreciated by most commentators was that in braking the caste based discrimination and uniting the Hindus under one identity, he had inevitably invited the wrath of the minority missionaries and the so called secular brigade. Meanwhile, Sri Sri Jayendra initiated multivarious activities like revival of old dilapidated temples, revision of wages for poojaris/archakas of small village temples, educational institutions for the economically weaker sections, health care through numerous hospitals etc. The last two were going to earn him bigger enemies who were raking in crores through their own private institutions in these fields. Here again the minority community question was inevitably linked, especially the Christian lobby. That’s what finally landed him in the mess that was Sankara Raman murder case. He touched those areas that were invariably linked to the minority-politician nexus which has an unimaginably huge muscle power in our country, especially in states like TN, where anti-Hindu parties have been in power for long. 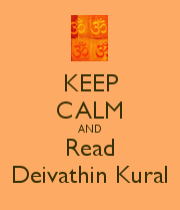 The Hindu community in TN should have risen as one and resisted the media’s preplanned character assassination of the seer and forced the powers that be to behave. They failed him collectively. More blatant was the Brahmin community’s response. A whole lot of them were ready to believe the media than see the opposite side’s version. That some of the worst detractors of the Math and Sri Sri Jayendra, at that time, were people from the community itself, is the most bitted fact. This attitude comes from their appointing themselves judges of how the Acharyas should conduct themselves and how the Math should be administered. This is from a community wherein not even 10% of the people observe their daily chores as stipulated in the shastras (nithyakarma anushtaanam), a good percentage take alcoholic beverages regularly, consume non-vegetarian food, a vast majority skip offerings to their ancestors via tharpanam, shrardham etc. Their animosity towards him multiplied when political leaders and religious scholars from across the nation consulted him on the Ayodya issue which he offered to help resolve. While many Muslim organization from UP as well as TN welcomed his efforts and offered to accept his recommendations, the Anti-Hindu political outfits in TN were systematically instigating an opposition to his effort, with clearly a vote bank mindset. He must be giving his famous disarming smile looking down at us from wherever he is now. At least from now on, let us carry on the good work started by him and compensate for all the dishonor and insults that we have heaped on him. I would dare say that, no single Acharya from the Sankara lineage could have contributed so extensively in critical social areas as His Holiness Sri Sri Jayendra had done in the last three decades (or longer). More than ever before, we needed him now as the forces inimical to the nation and Hindu religion are gathering great strength and momentum to give one last shot at denying this nation its Hindu identity. We have to defeat this at all costs and for that we need a few more Jayendras. Though the above article looks innocuous from outside it is diabolical if you look deep. First we should respect our Acharyal by addressing them as Sri Periyava and not call by them name which we see aplenty in this article. We dare address Maha Periyava by name then why this prejudice and discrimination about our Pudhu Periyava? Is it just that we have taken our Periyava for granted and so used to by calling his name as we call our friend or neighbour? Secondly, this article talks as if Pudhu Periyava broke the shackles established by Maha Periyava. In fact it take turns to put both Aachayas down repeatedly. For eg. Sri Matam just being a spiritual fountain head under Maha Periayva, Pudhu Periyava enjoyed fame compared to Maha Periyava, tested the limit of orthodoxy, etc. I just quoted a few examples and can go on but do not want to waste my time. I’m more hurt seeing these kinds of articles floating around and forwarded trying to glorify our Periyava than Periyava attaining siddihi. If you read the article again, reflect on it and think calmly you may agree on this. Absolutely.Who are we to judge/understand the inner connect between the sages.We are mere mortals and cannot ever comprehend divine missions. That was an article published by Sri Gurumurthy in Indian express (I assume). 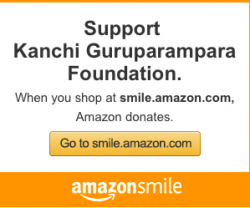 In that case, it was an article meant for a world outside the devotees of our Periyava. Therefore his addressing of our Pudhu Periyava by his Sanyasasrama nama must be acceptable. The contrast discussed here is merely serving as an explanation to the outsiders (other than who follow our Periyavas and understand his actions to some extent at least) on the activities of Pudhu Periyava and does not mean to judge HIM or HIS actions. In a way, i was happy that this media guys were busy at some events(Karti Chidambaram, sri Devi etc) on 28 Feb and did not have time to cover Pudhu Periyava’s siddhi. If they come up to cover, they will either profoundly shower their ignorance (about out Periyavas or Math) or spit venom. Same with celebrities. Better if they stay off from Math and our Periyavas. Hats off to Ilayaraja. This in spite of the fact of heaviness if heart of losing his son to Islam. ஒரு ஞானிக்குதான் மற்றொரு ஞானியை அடையாளம் காணமுடியும்.